Channel 4 has announced that it is axing its 4oD catch-up service, in favour of a new integrated live TV and catch-up portal called All 4. Now: the home of live streams from all of Channel 4 TV services, including the main network, E4, More4 and Film4. On-demand: This section will replace 4oD and host all of the broadcaster’s catch up TV content, as well as features such as cast interviews. On Soon: A showcase of new programme clips and promos, with the facility to allow viewers to set reminders and alerts. Channel 4's new Shorts initiative, which offers a range of bite-size programmes designed for the web, including content featuring Jamie Oliver and Made in Chelsea’s Binky Felstead, is to be made available across all three sections as well as in its own dedicated hub. 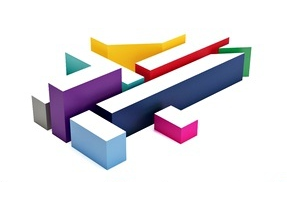 Channel 4 says that "as the viewer navigates through All 4 on digital platforms, the logo will respond to highlight each channel brand based on where the viewer is within All 4. For example, when a viewer is watching an E4 show, they will see the purple E4 block of the logo transform into a bespoke pre-roll ident." All 4 will initially launch on PCs, Mac and an iOS app before rolling out on other digital platforms.